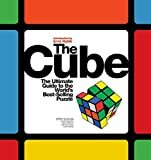 His simple-yet-complex cube puzzle took the world by storm in the 1980s. This week, Professor Erno Rubik, inventor of the Rubik's Cube, will receive a Lifetime Science Education Achievement Award from the USA Science and Engineering Festival in Washington. We'll talk to the Hungarian inventor about science and engineering education, and how to inspire a next generation of scientists and engineers.